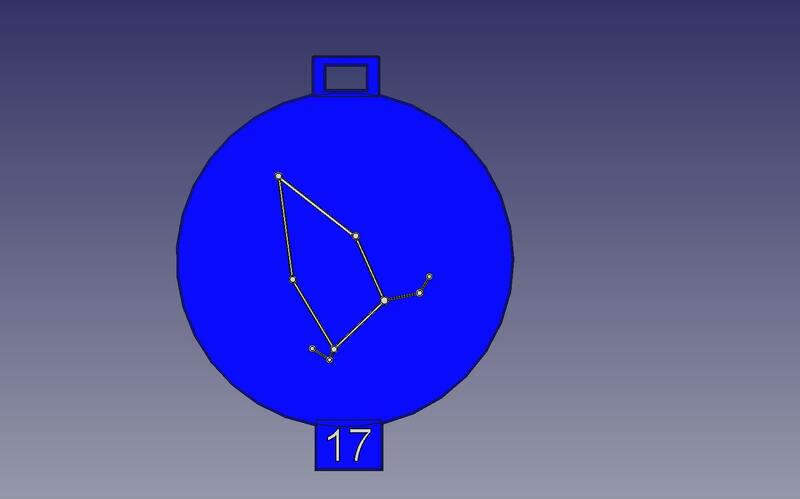 The Star Coin project started in October 2014 as an astronomy education approach for the visually handicapped. 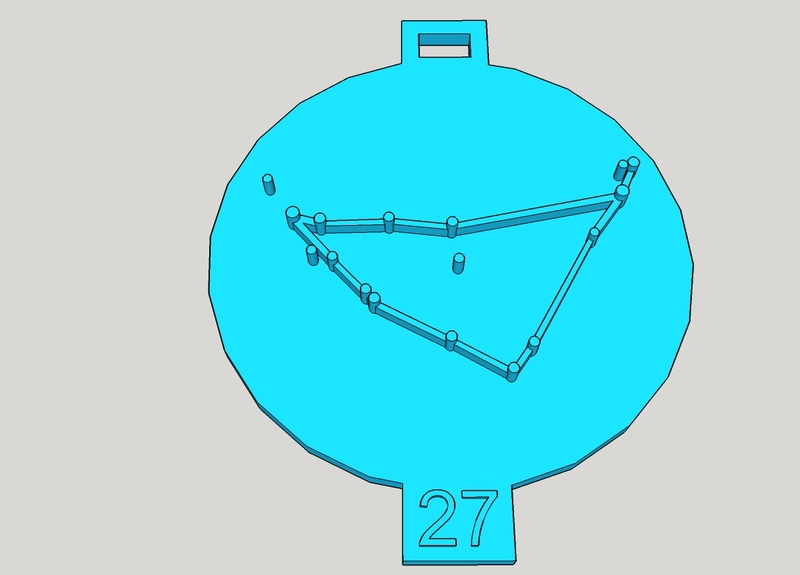 I had recently learned how to design and print two 3D objects over several months using FreeCAD and the MakerBot 3D printers at the Case Western Reserve University think[box]. I was also working as an astronomy department volunteer at the Cleveland Museum of Natural History (CMNH) at the time. The planetarium director, Jason Davis, mentioned their collaboration with the Cleveland Sight Center teaching astronomy. 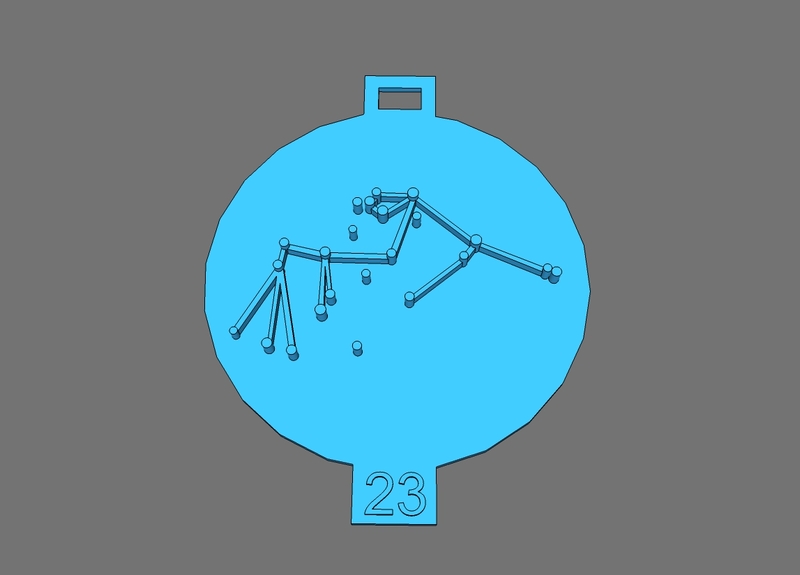 Putting this together with my recent 3D printing interest, it seemed like a great opportunity to print constellations in tactile form. 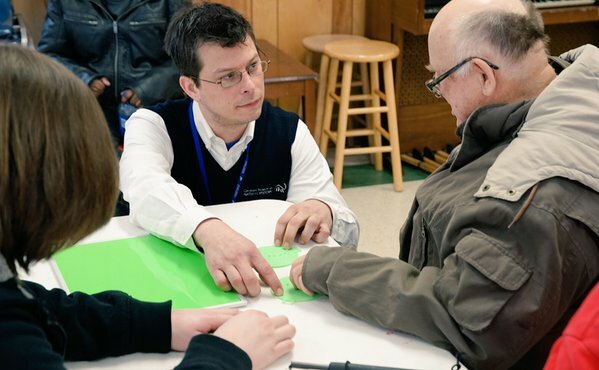 Jason helped set up the first meeting with the Cleveland Sight Center in November 2014. 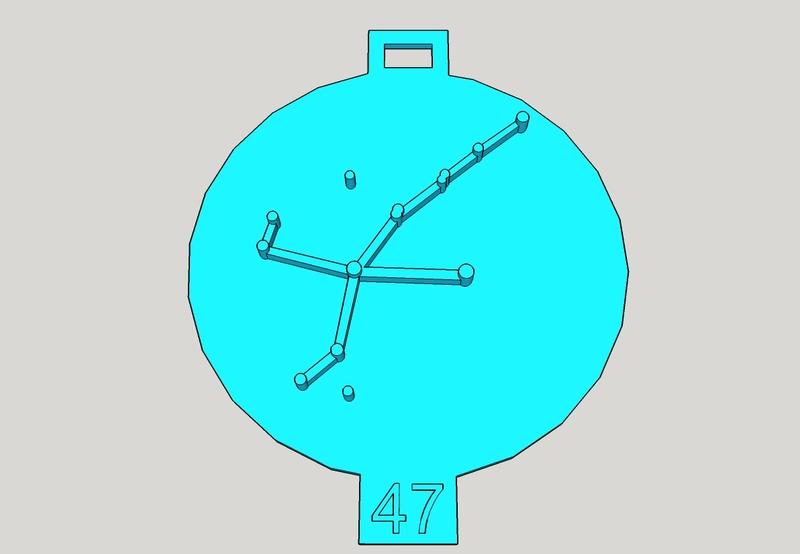 An initial test print of the Big Dipper was shown to them. 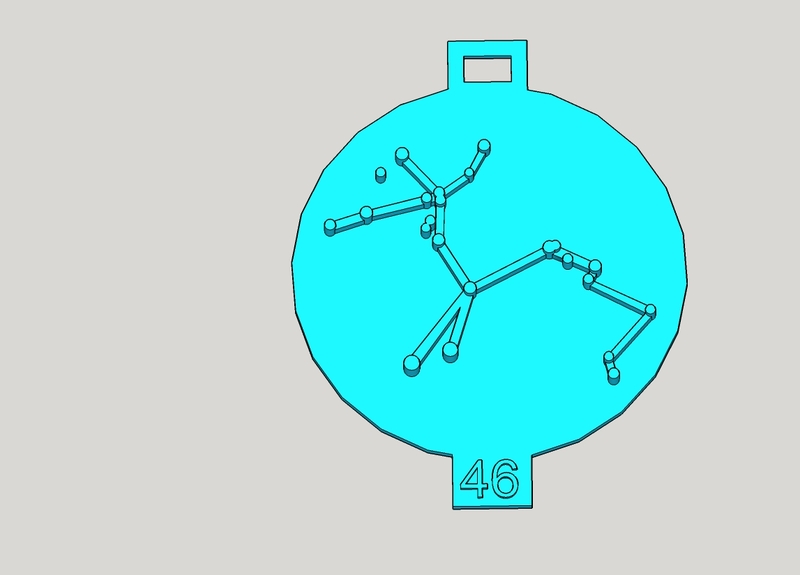 The response was quite heartfelt as one person said he never really understood what the Big Dipper was until he felt this 3D model. 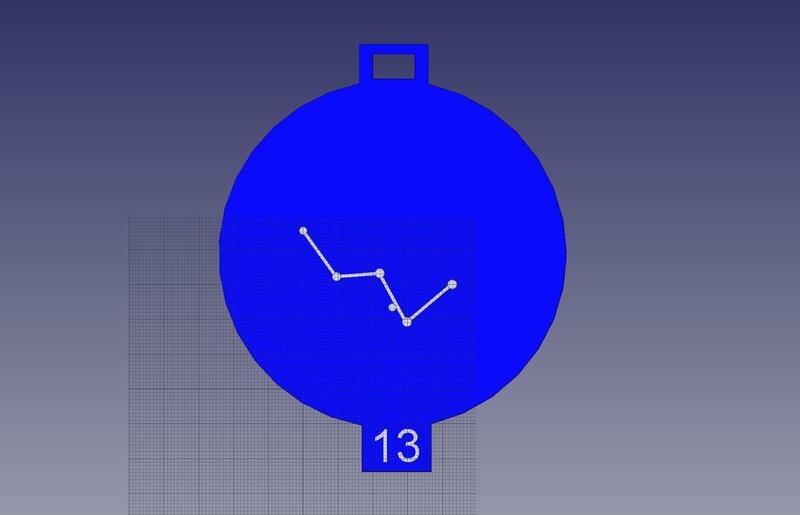 Subsequent changes were made in sizing and layout to arrive at the designs shown on this page. Further development of the designs and methods for use are planned as the education approach is developed. 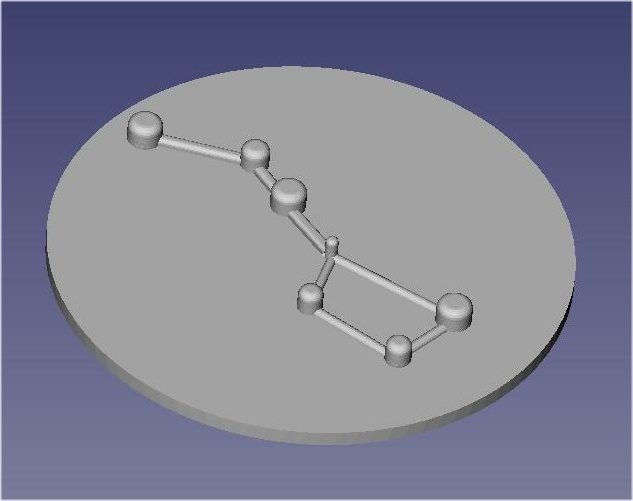 Beyond the coincidence of 3D printing and astronomy there was a third opportunity that provided access to 3D printers. I had been attended a monthly meeting of electronics enthusiasts in a MeetUp group, Charged Conversation. Rick Pollack, president of MakerGear, was at one of these meetings and saw what I was doing. He generously offered to supply sets of the star coins in ABS plastic for CMNH and the Cleveland Sight Center at no cost to get us started. 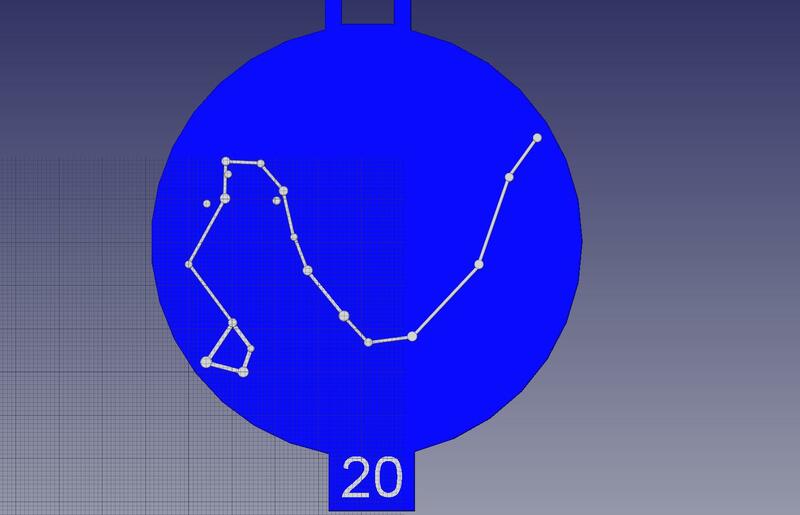 I am currently using SketchUp to develop new constellation designs, and a PowerSpec 3D Pro printer with Simplify3D to make samples. 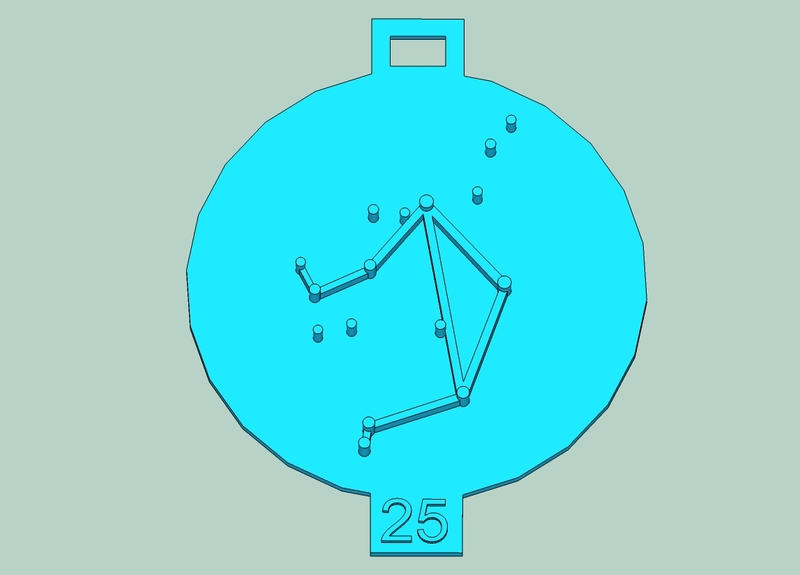 Each constellation is on a 100 mm diameter disk, although this can be adjusted when printed. 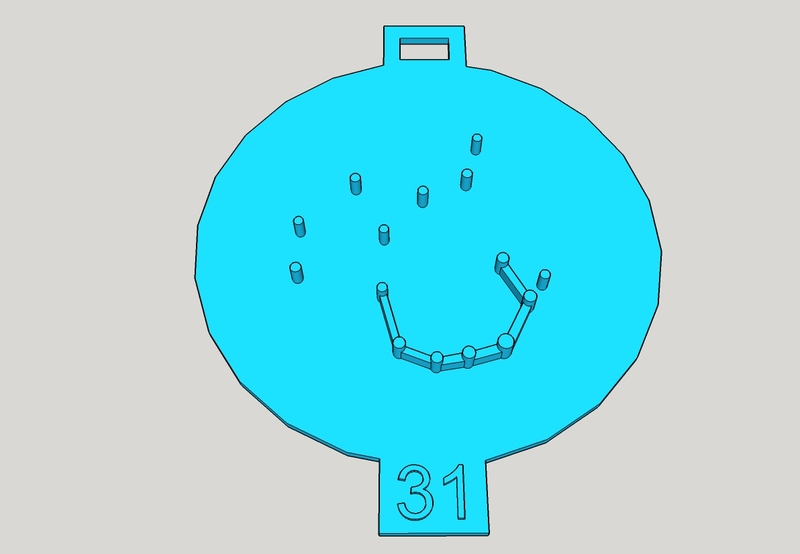 The top of the disk has a hole so that it can be put on a beaded chain as a set. In a planetarium, sets of these could be used during the regular planetarium show. 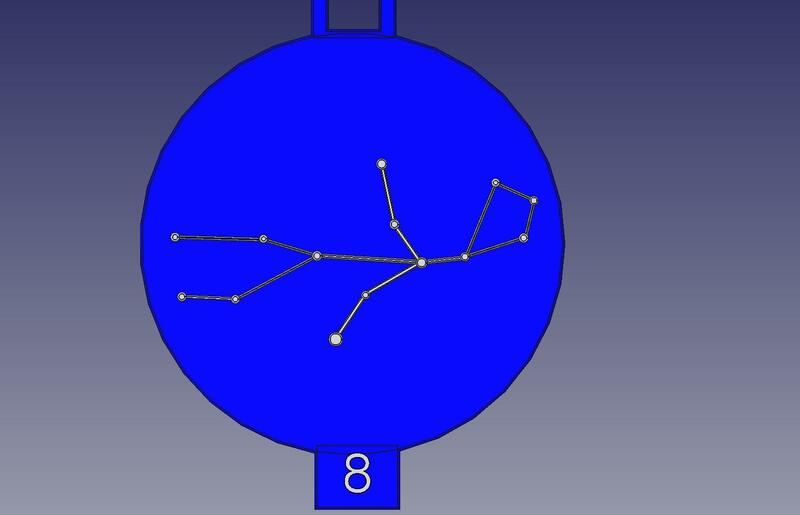 At the bottom, the three letter constellation abbreviations were initially used. This was replaced by a reference number that can be used as part of a quiz in a classroom setting. 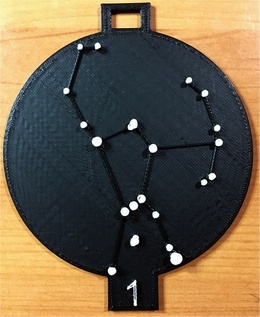 Black 3D filament material with white painted stars gives the best contrast for those with limited vision. White model airplane enamel paint had worked well to paint the stars and number. 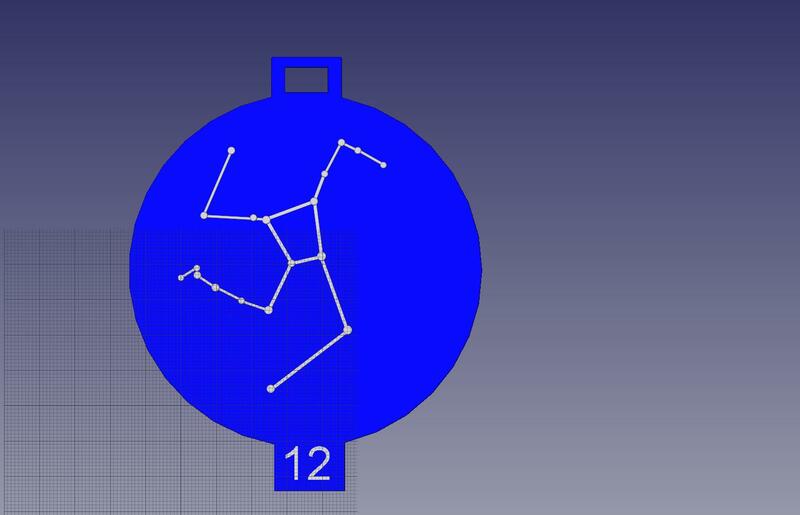 PLA filament was used in the constellations shown here. Attaching a thin piece of magnetic sheeting (5x5 cm) to the back of each disk (magnetic vent cover) allows the disks to be stuck to boards with a ferrous metal backing. A lot of white boards have metal backing for attaching magnetic items. 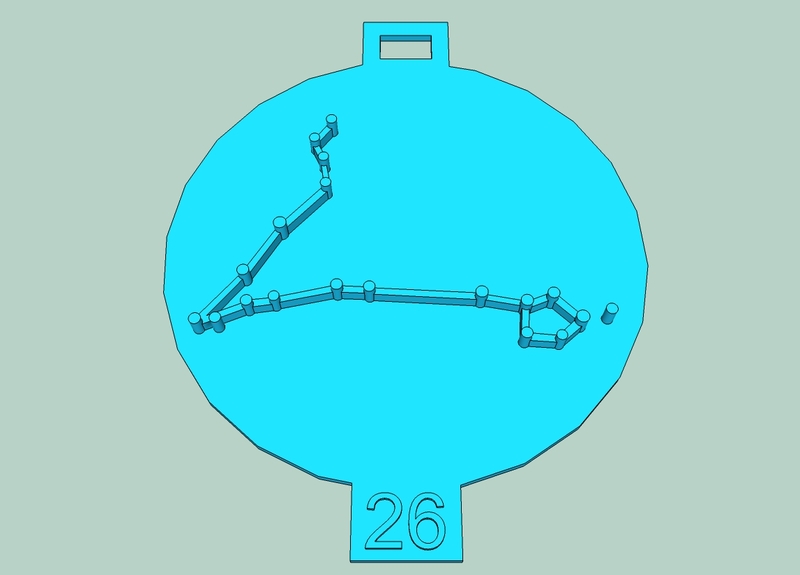 Supplying each student with a small metal board about 60x60 cm (from the office supply section of a discount store) let them easily move the constellations. 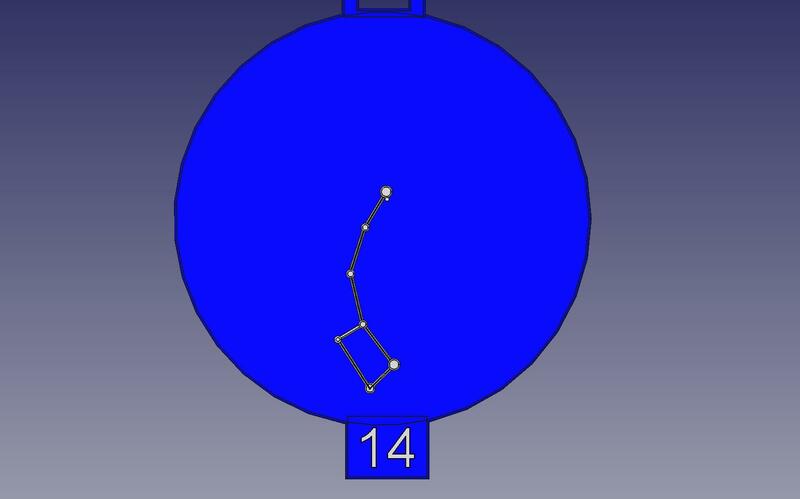 The relative orientation of the constellations to each other can thus be taught while placing them on the board. 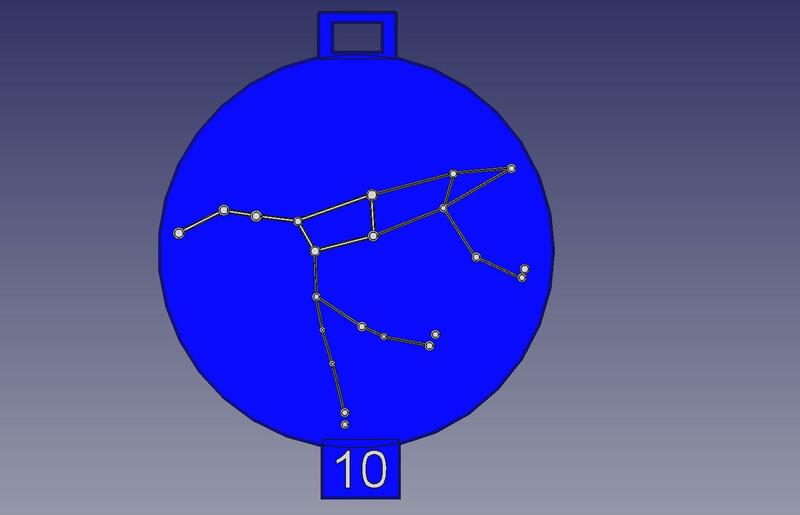 Comical stories about the proximity of constellations and stories of the mythical characters can make this fun for the students. 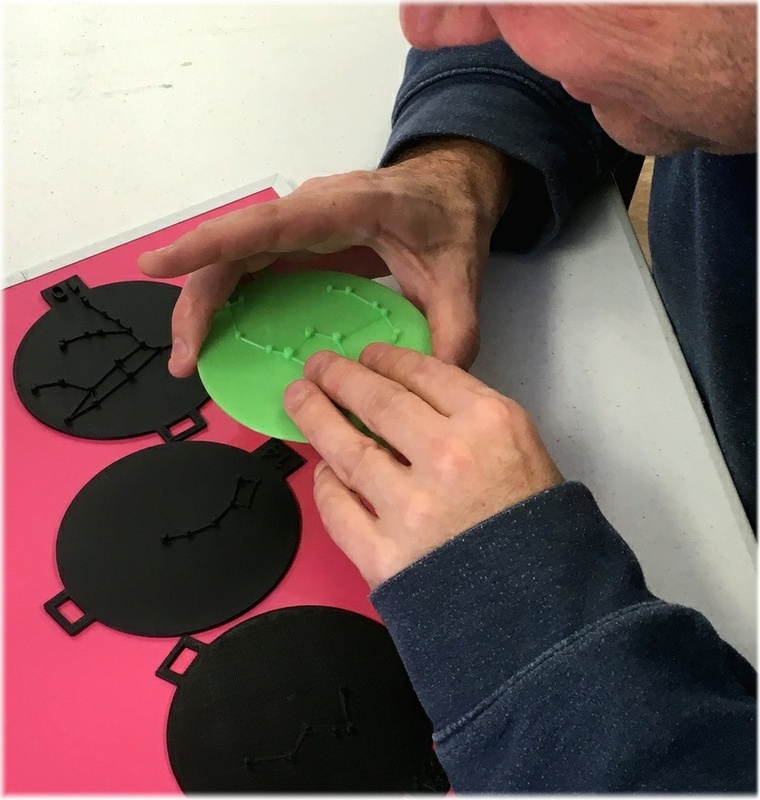 These tactile constellations can also be used to teach constellations to all students. A set of these can be placed on a metal wall board and used for instruction or just fun for kids to learn while playing. Feel free to use and distribute these. There is no charge to educational organizations under the Creative Commons license. I would appreciate your feedback to help develop the materials and teaching approaches: Bruce Bream, tarrow@roadrunner.com. An astronomy class was held at the Cleveland Sight Center Highbrook Lodge. 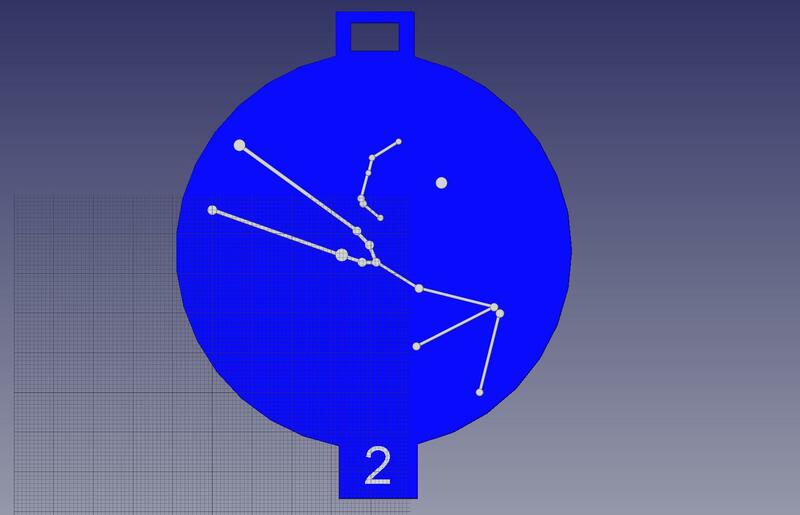 Cleveland Museum of Natural History astronomer Jason Davis used the Star Coins to teach astronomy in a different way. 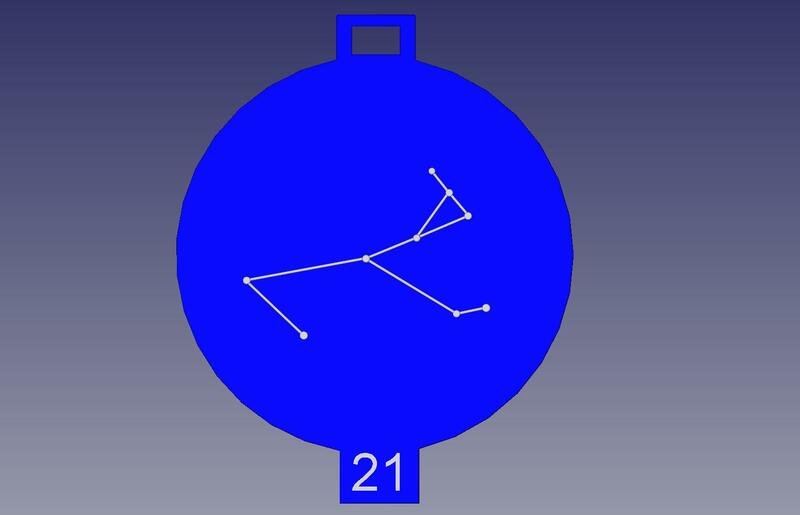 Ursa Major, Ursa Minor, and Cassiopeia were introduced and placed on individual magnetic boards. 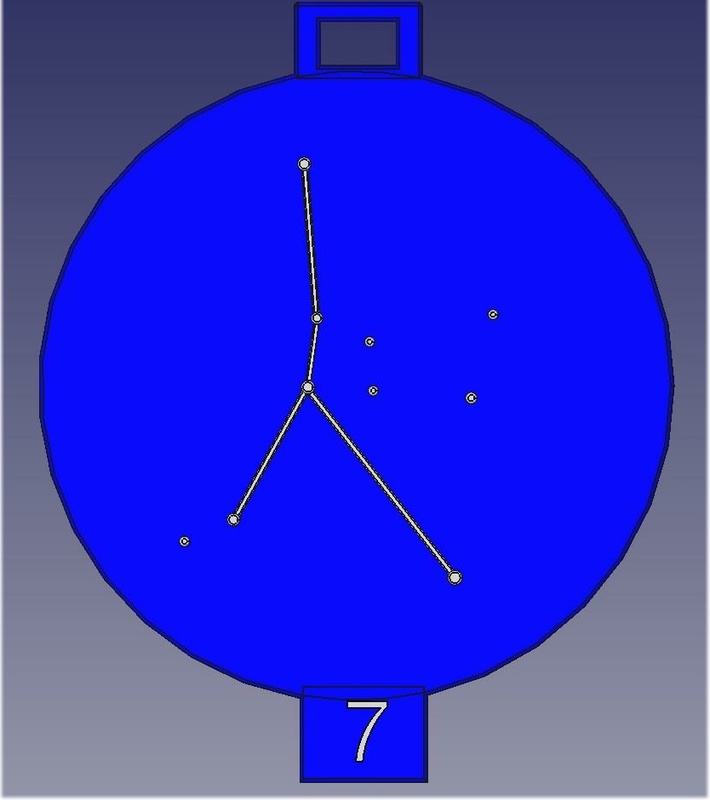 The orientation relative to the north star in Ursa Minor was explained. The boards were held up to help understand the location of the constellations in the sky above. Put the magnetic backed disks on a metal board in the classroom. Many whiteboards have a metal backing and can be used for this purpose. Draw either an ecliptic line or polar circle. 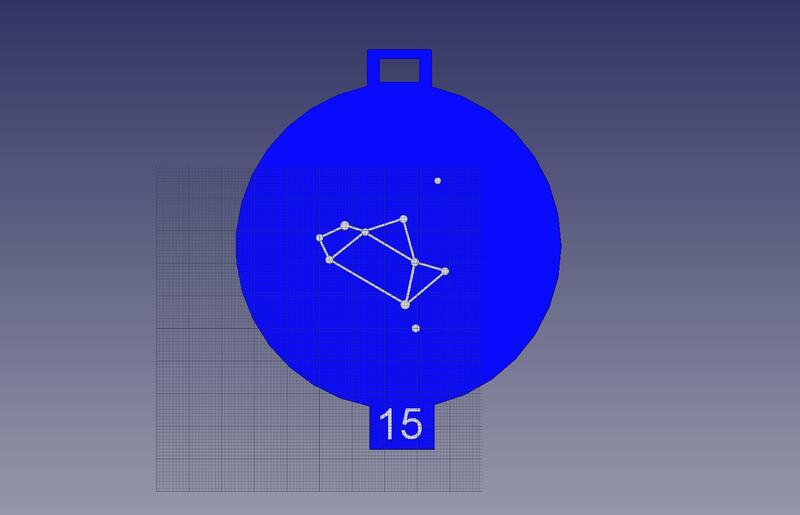 Have the students place the constellations in the correct locations. 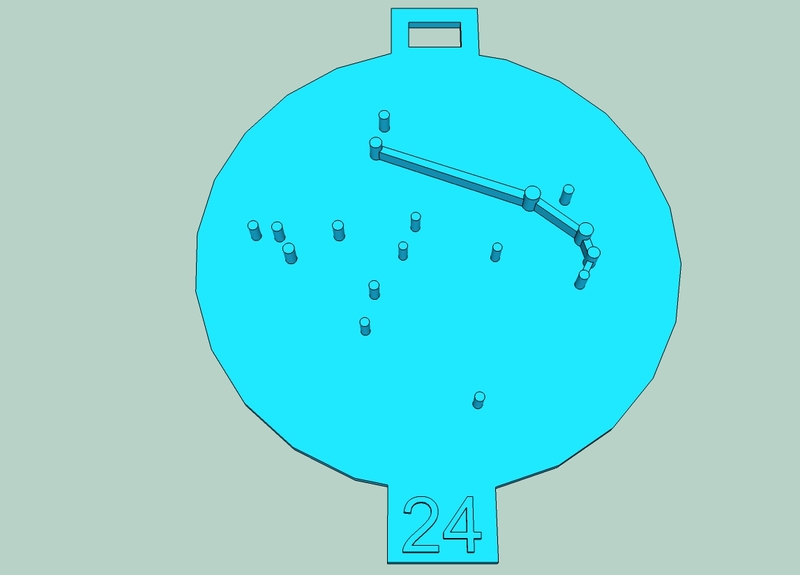 Provide them with a map to learn map orientation. 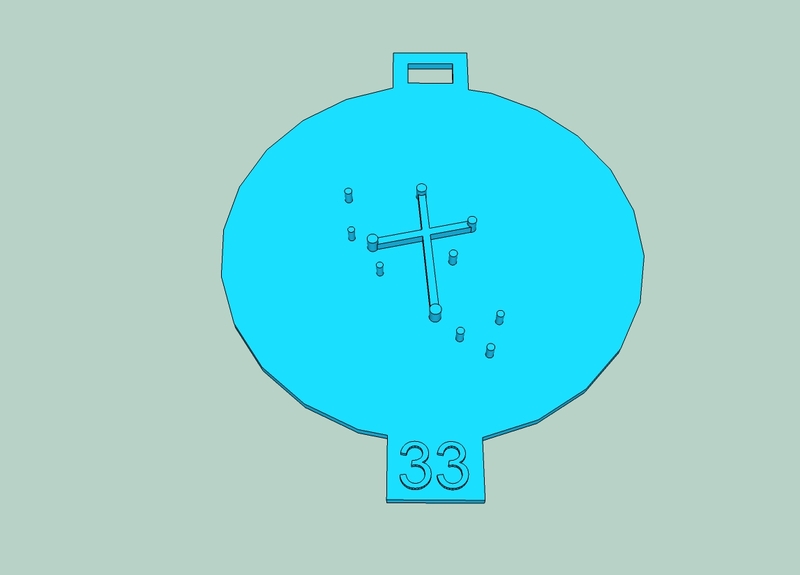 Or, provide the coordinates and let them learn coordinate system plotting on the board. An identification quiz is easy since the disks are numbered. The teacher just needs the cross-reference on this webpage. For schools, involve the art department, and others, in producing these. 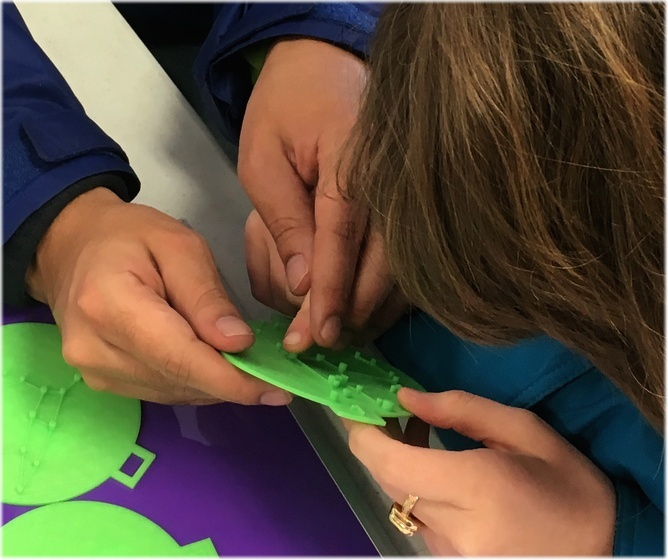 Connect special education teachers with science teachers to deliver astronomy education classes. 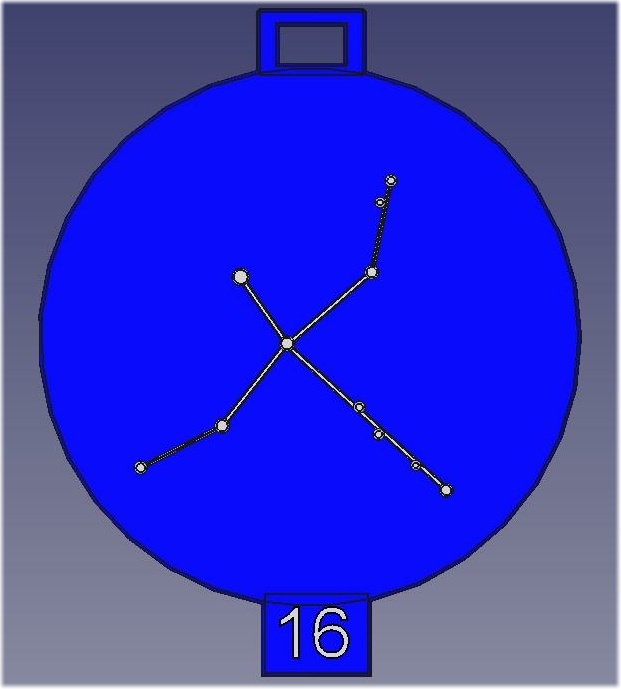 Great Lakes Planetarium Association meeting Star Coin Presentation Charts from 23 April 2016. SciAccess Conference, poster session, The Ohio State University, 28-29 June 2019. Stars in the sky have grouped into patterns called constellations. Humans across time have mentally connected stars they perceive to represent objects or people. Introduce what a star is and how it produces a point of light in the sky. Stars are essentially balls of fire. Our sun is the closest example. At great distances stars are faint with some so dim they cannot be seen without a telescope to magnify the light. Magnitude is the term given to the brightness of a star. Note how people have seen patterns in the random positions of the stars. 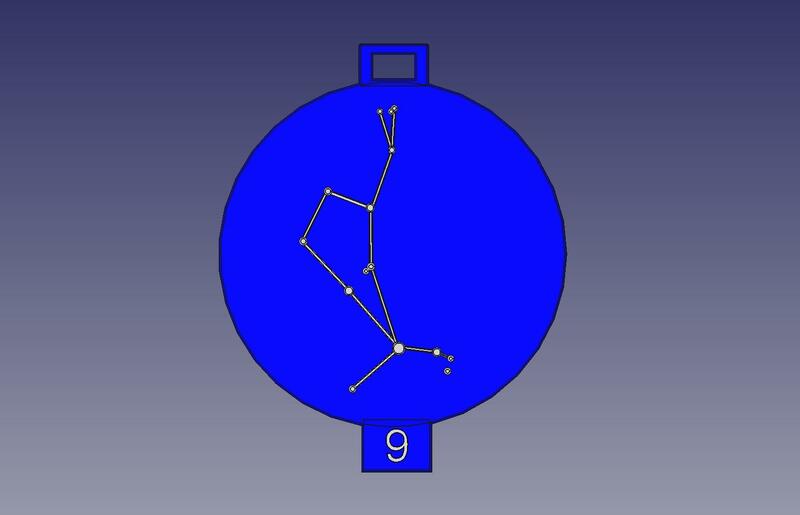 Astronomers refer to each pattern or group of stars in the sky as a constellation. 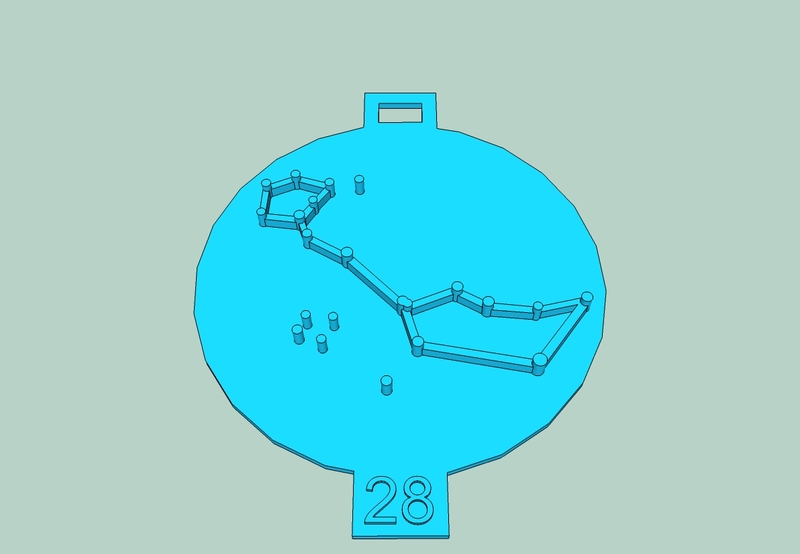 There are 88 constellations. Hand out the star coins. 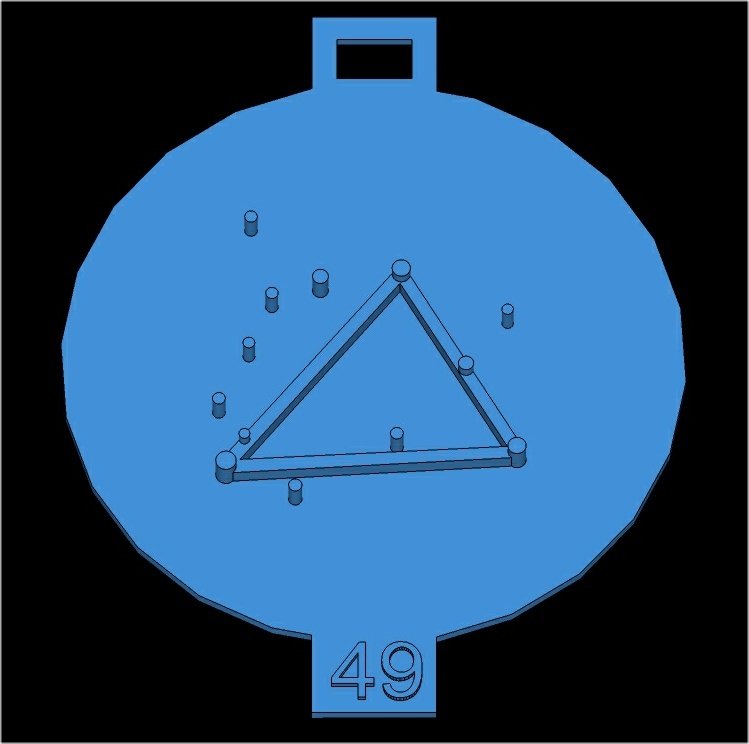 Note that each point on the disk is a star. 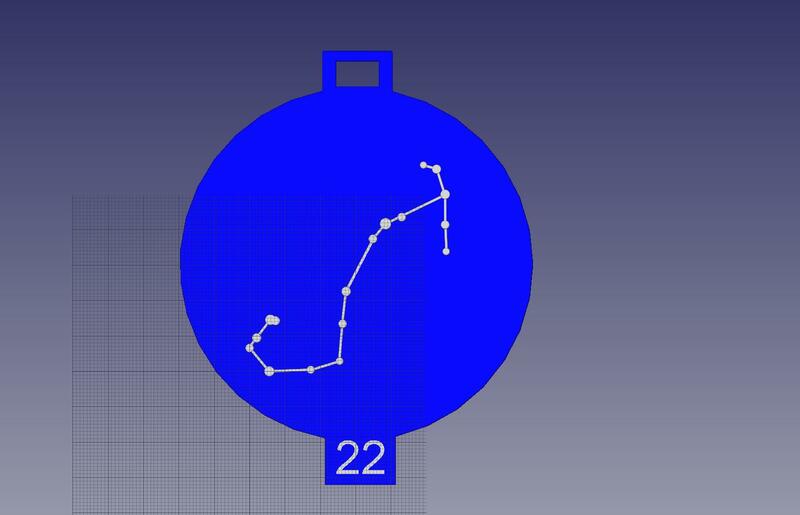 The diameter represents the star's brightness. 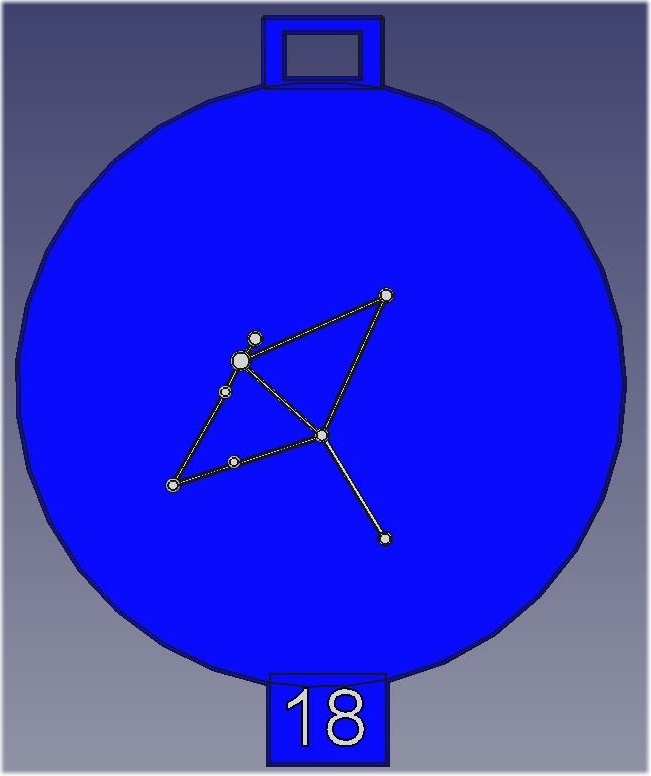 Lines between the stars make connections that relate to the name given to the constellation. 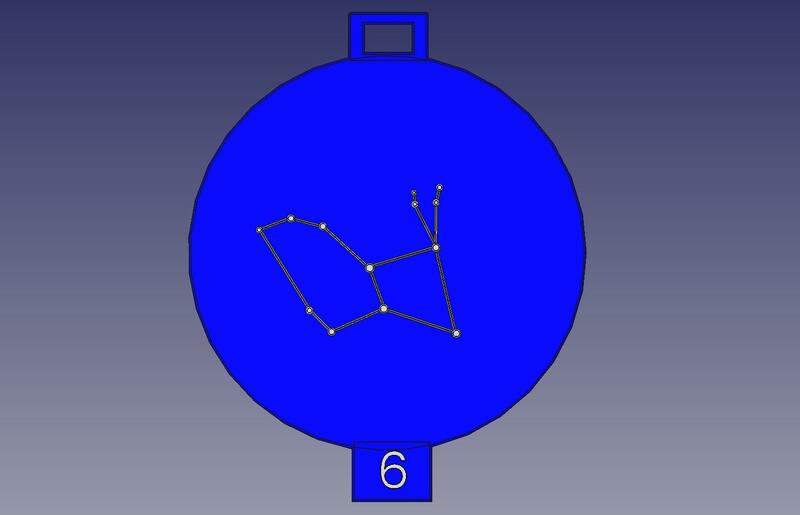 Each constellation has been numbered for an identification quiz. Do you think different cultures have seen different star patters in the sky? ESS.35.5c Identify what can eb found in the solar system. 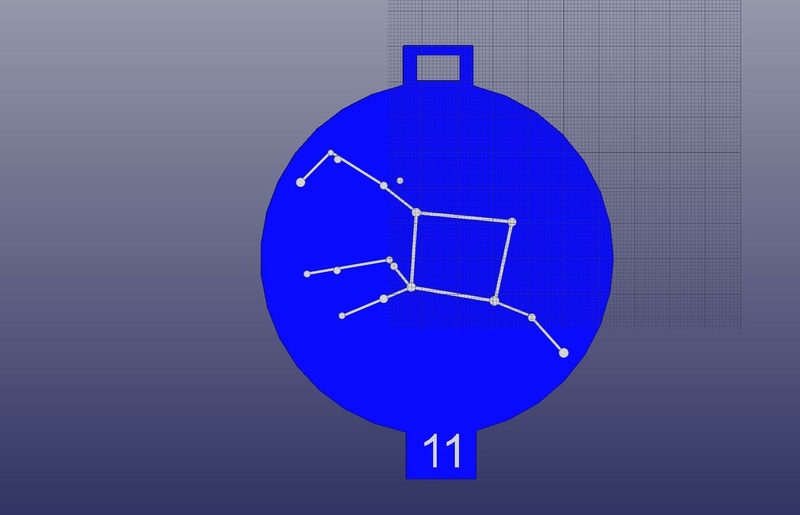 For each constellation in this list there is a sample image and a link to the STL file for 3D printing. 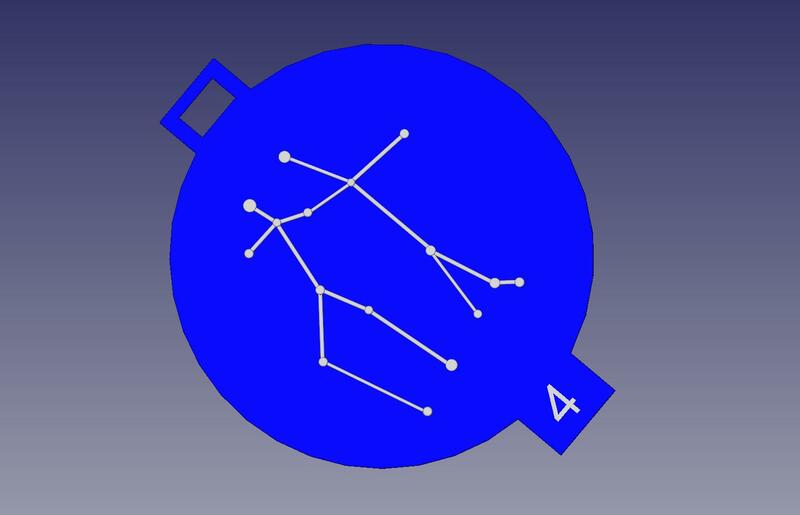 These were the first constellation that I made. These were smaller with the Big Dipper being the first. 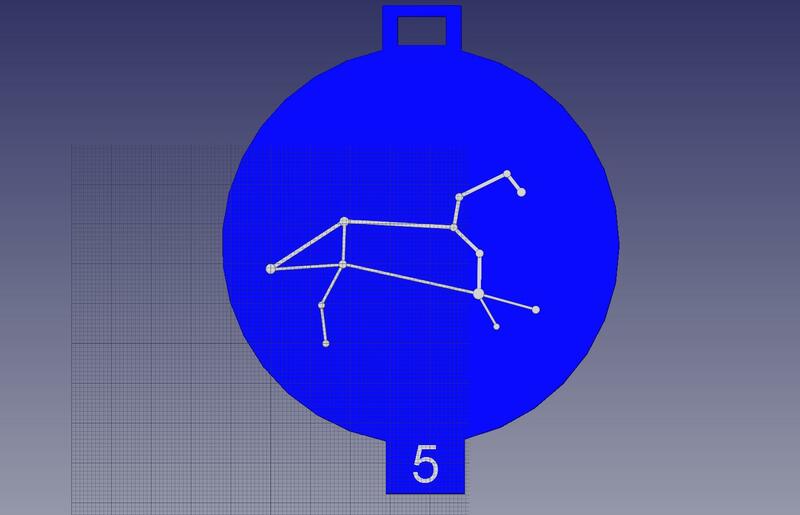 I added Braille at the bottom to Canis Major. 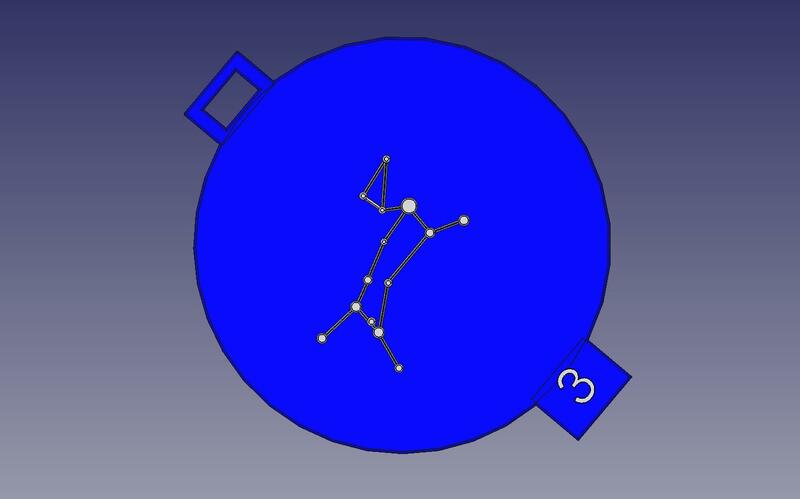 The final size was determined by what was needed to resolve the three belt stars in Orion. This project is developed in conjunction with the Cleveland Natural History Museum through the support of Jason Davis and the Cleveland Sight Center with the support of Lisa Cellura, among others. Initial ABS prints were supplied by Rick Pollack, president of MakerGear. 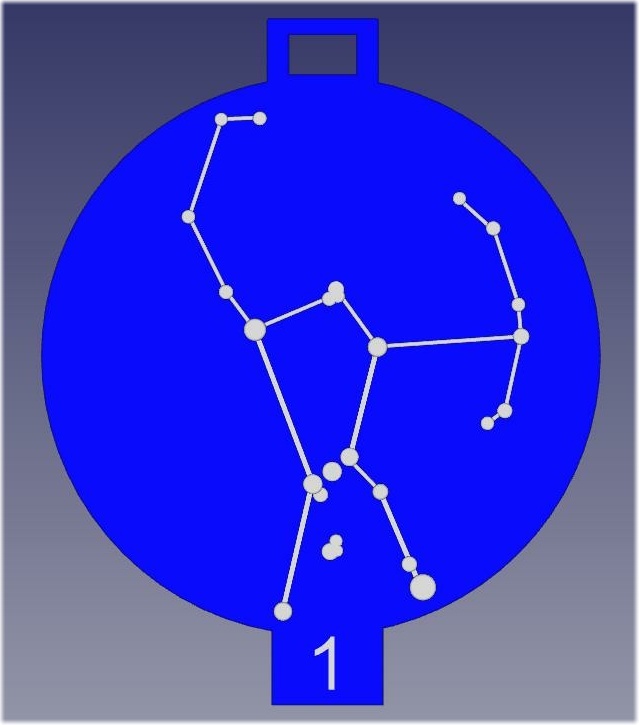 The Star Coin Project by Bruce Bream is licensed under a Creative Commons Attribution-NonCommercial-ShareAlike 4.0 International License. Permissions beyond the scope of this license may be available from tarrow@roadrunner.com.